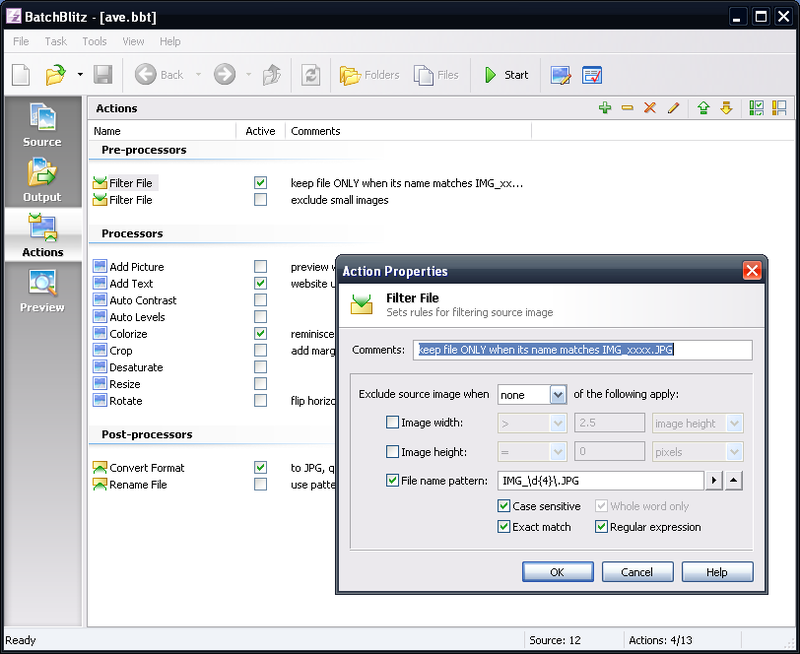 BatchBlitz is a batch image processor with an included photo edit program. It allows you to add a watermarks, filter source files, rename/convert images, resize/rotate, automatically apply color corrections and more. An instant preview gives you a look at effects before executing. Additionally, the program supports regular expressions for filtering files to be processed and for the renaming of files. A wizard can categorize files based on metadata (EXIF or IPTC tags). While the editor program (SunlitGreen Photo Editor) is separate from the batch program, it's included in the application folder or can be launched from within BatchBlitz. smaragdus: Thanks for the info but I think this topic is better served in the forums. Could you move it from here and over at the SunlitGreen Photo Editor entry? Download link leads to SGBBSetup.exe. There does not seem to be a zip file anymore. Hi folks, this is the author of this program. The "Screenshot" here is only for a very small feature of this software. Ok, I've sussed what's going on here. The Navigation bar isn't appearing in the app on my fully patched XP system. There's obviously a pre-req missing somewhere from the packaged (portable) app. I may try the non-portable version and see if that's fixed... Shame though. Agreed. The help file included refers to items that just aren't present in the included BatchBlitz.exe file. I don't know where that screen shot came from, but it looks nothing like what I downloaded and tried to use. Must be a different program.